The United Club (nee Red Carpet Club) in Denver got new furniture last week and it is very comfortable. I like the color palate too, it creates a relaxing environment. The downside is there are still very few outlets and I think there are fewer total seats than before. 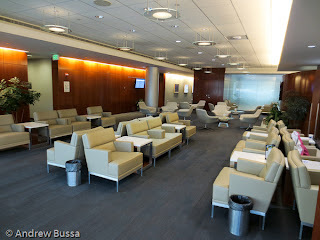 An improvement, but still not as good as it should be (see the new United Clubs at ORD for an example).